So, since it was my one and only day at the Magic Kingdom, I had to try really hard to not fall victim to the standard short term visitor mentality of GO GO GO. Initially, I had a lot of concerns about whether or not I would be able to see everything I wanted to but I also didn’t want to run around like a chicken with my head cut off. So, after my first ride at WDW I decided, let’s go on something I could compare to the Disneyland version but I didn’t want to take the most direct route. So we set off the long way from Fantasyland and headed towards Tomorrowland. I wanted to see how the lay of the land differed from Disneyland. Oddly enough, Tomorrowland was wildly different but vaguely familiar. There was room to breath through there and buildings I knew from Disneyland, but they were in different locations. For instance, Space Mountain and the Carousel of Progress building (what Disneyland Diehards would call Innoventions) were swapped. Space Mountain would actually be considered “outside” the park as it sits on the outside of the railroad tracks. 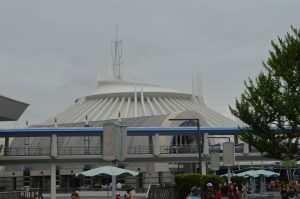 However, in the middle of Tomorrowland was a structure that housed the PeopleMover on the second floor and the Astro Orbiter on the third floor. Both of which are a sight I had not seen active and in that configuration since the 1980’s at Disneyland . There were other things that were in different places but it would take too long to list them all. So onward we went out of the Tomorrowland entrance and towards the Magic Kingdom Hub. To make sure I relaxed and enjoyed the moments, I stopped and took more photos of Cinderella’s Castle, which still amazes me with it’s size. Unfortunately, during my trip, there was quite a bit of construction around the hub in the various waterways and bridges. This made it a little hard to get good pictures that didn’t include muddy, barren land. 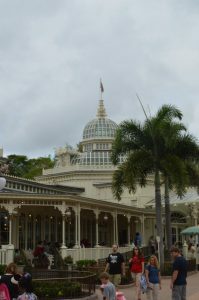 Onward towards Adventureland and on the way, nabbed a couple pictures of the Crystal Palace. This is the Magic Kingdom’s version of the Plaza Inn at Disneyland where you have a character breakfast, but it sits where you would expect to see the Jolly Holiday. 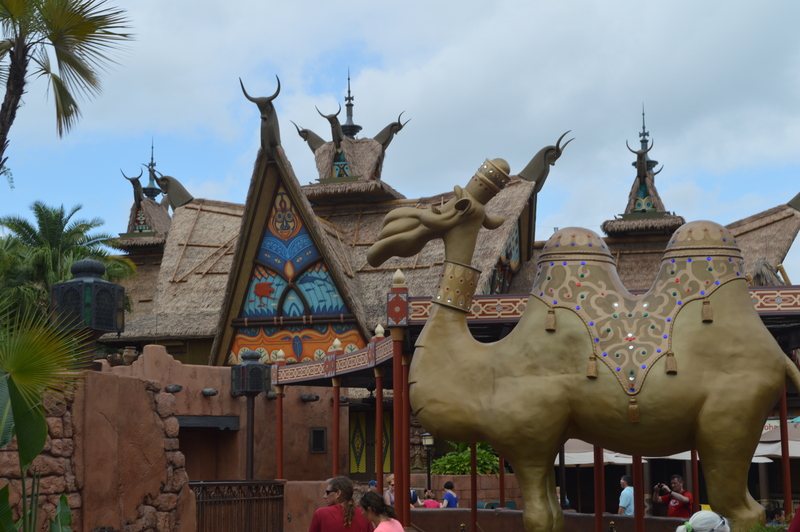 In Adventureland, we stopped and looked around at the layout. The Jungle Cruise (which is one of the things I didn’t get to go on) was in a different location. 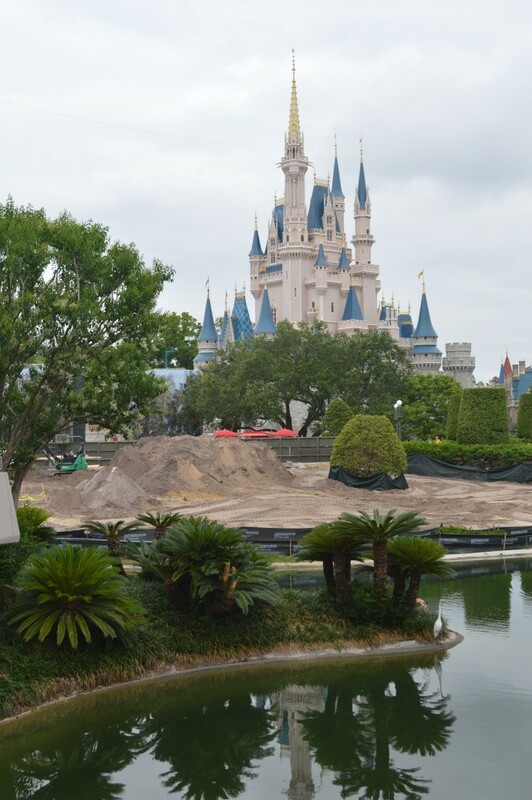 So much of a different location that I initially didn’t think it was included at WDW. Then I saw the building for Walt Disney’s Enchanted Tiki Room. I knew I wanted to see the show, but I had bigger plans in mind and Jose couldn’t lure me in just yet. Continuing on, we finally got to our chosen destination… The Pirates of the Caribbean. 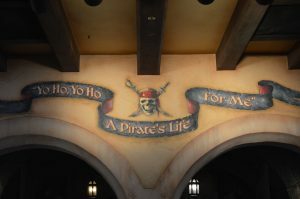 In my next entry, I’ll go over whether or not POTC differs from the Disneyland version. I’ll give you a hint in case you can’t wait….it does. Thanks for following.